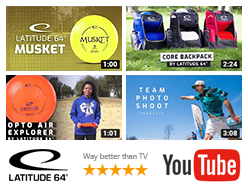 By now Latitude 64 has achieved a reputation as the producer of the finest, most reliable Disc Golf products on the market. So where is the next challenge? Well we keep track of what is happening in the industry and figure we can always try to perfect things that interest us. So the past year we have been putting effort into producing the markets best overmold discs using two materials instead of one. So what is the purpose of this? Well first of all we can produce cool looking discs that will stand out when a player picks it out of the bag. Secondly we think that the current focus of overmolding in the industry is barking up the wrong tree. Using a heavy plastic at the rim works in theory… but it has a very small effect due to the material you have to use to get a good and durable bond. However, using a soft grippy material at the end combined with a durable center or a durable edge polymer surrounding a grippy old school plastic center can create variations we haven’t been able to achieve with regular molding. So, the first step has been to produce discs with overlap between the rim and flight plate, not having leftover plastics where the second part of the injection molding has occurred or issues with discs being short on plastic. We chose a combination of Opto Line and Gold Line for this first phase. Next will be more experimentation with different plastics once we get the usual feedback from our team players that help us stay at the cutting edge of disc design. The first 2K Line discs are made with a Opto Line plate and a Gold Line rim. A combination we will call 2K Line Opto-G. They are all PDGA approved and we are looking at a First Run release in May. However if you would happen to swing by Emporia, KS, during Glass Blown Open you might have a chance to get your hands on some of them there! Stay on top of your game and try the latest to come out of our product designers’ heads! Whatever situation you find yourself in on the course you can always fall back on the Sarek. It’s a reliable, stable putt and approach disc that works very well as a short range driver too. No matter if you are new to the game or a seasoned pro, you can find many ways to put this disc to use. 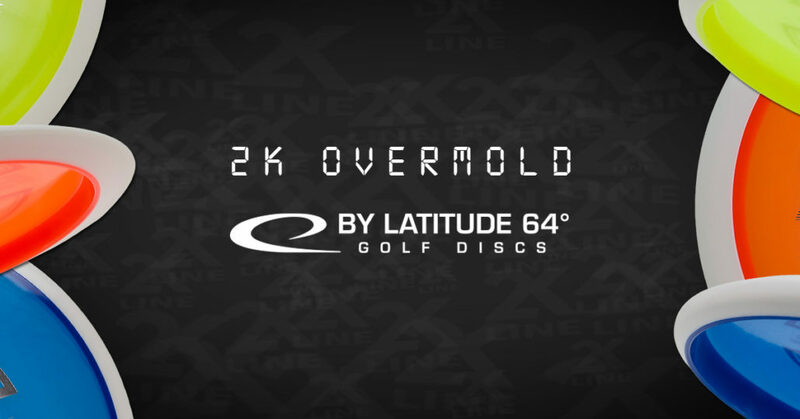 This is an understable fairway driver with great glide and speed compared to other discs in the category. Works great as an allround driver and will help you save shots on a daily basis.